First, don't use chrome socket on the impact gun for your own security. 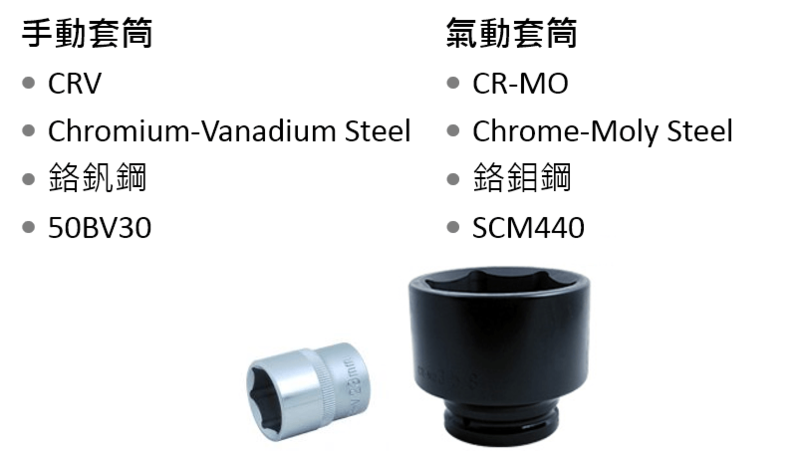 Other than colors, Tien-I Impact socket got very difference with Chrome socket in material and manufacturing process. 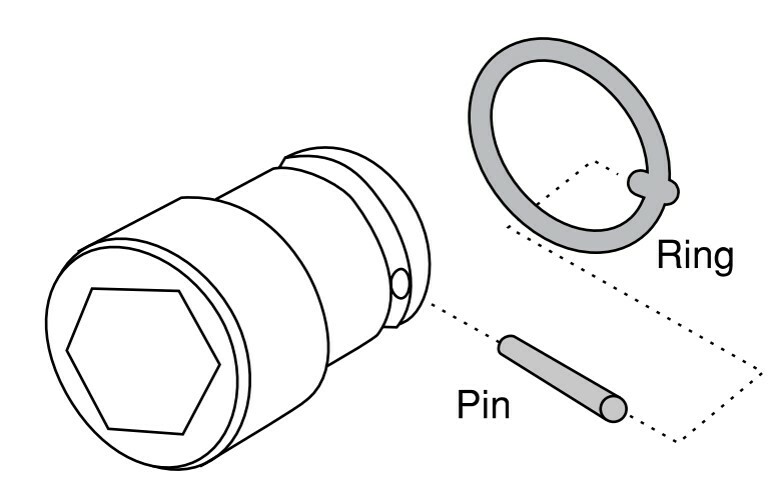 The design applications for both sockets are also different. Tien-I impact socket got thick walls and finished in a black phosphate. Impact sockets have a cross hole in the handle end for use with a retaining pin and ring or locking pin anvil to allow the socket to be securely attached to the square drive of an impact gun. Hand sockets have a thin wall which allows for clearance in general applications where hand torquing is used.Tien-I Hand sockets are usually chrome plated. Tien-I impact socket made out of CR-MO is heat treated to a low hardness range which has been optimized for impact use. 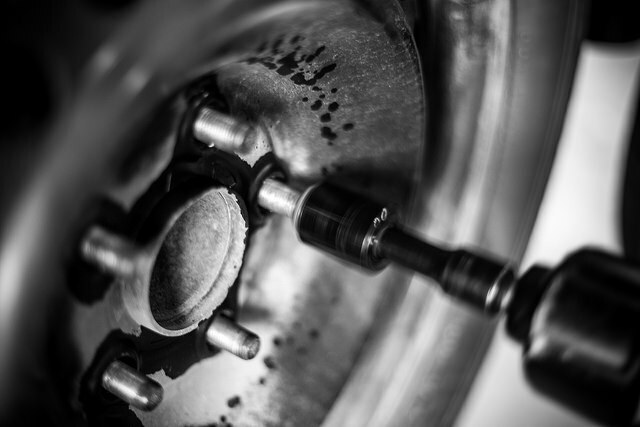 This means that under heavy, continuous use, an impact socket will withstand the impact blows and will wear rather than break. Hand sockets are made of CR-V heat treated to a hardness range commensurate with their size and configuration. Hand sockets are heat treated to a comparatively higher hardness for high strength and more wear resistance than impact sockets. Don't use chrome socket on the impact gun, since it will cause the uncertain damage on the tool itself. It will also delay the work efficiency and even cause safe issues. 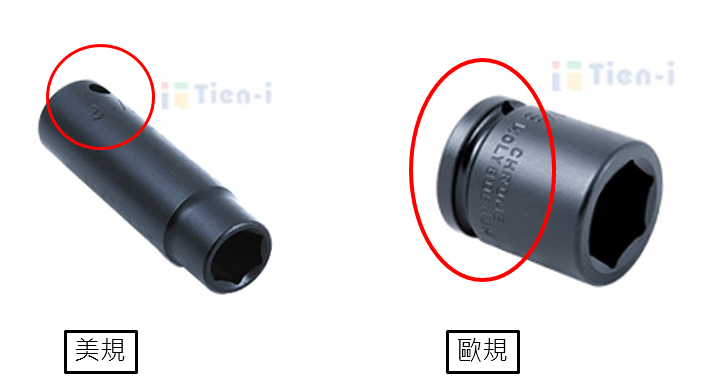 That's why Tien-I OEM/ODM socket are best selection for the professional market.